Boarding in Budapest. Welcome cocktail and presentation of the crew. Cruise to Mohacs. Dinner and evening on board. Sailing during the night. Full board on board. Early in the morning, arrival in Mohacs, passing through customs and cruise to Osijek. Entertainment on board. Arrival in Osijek and optional guided visit. 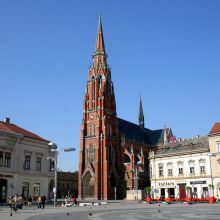 Osijek is a modern town of central Europe with old traditions. Return on board and cruise toward Belgrade. Evening of entertainment on board. Full board on board. Arrival in Belgrade, optional excursion to visit the town. Located at the confluence of the Danube and Sava rivers, the town has created its own cultural identity based on a mix of Austro-Hungarian, Ottoman and Slavic cultures. Return on board. Free afternoon in the Serbian capital. Optional coach transfer (book and pay on board) will be available to and from the town center from our mooring point. Serbian folk evening on board. Cruise to Orsova. Full board on board. Arrival in Orsova, optional excursion to “the Spa Town of Hercules and Orsova”, one of the oldest thermal spas in Europe built by the Romans in the 2nd century B.C. Return on board and cruise to the Iron gates gorges between the Carpathians and the Balkans, a fantastic place. Gala dinner and dancing evening on board. Night spend sailing toward Novi Sad. Full board on board. Early in the morning, arrival in Novi Sad. Optional excursion to the Orthodox monastery at Krusedol, built in the 16th century and decorated with some wonderfully elaborate paintings. Visit of Sremski Karlovci, a peaceful little town of some 9,000 inhabitants on the banks of the Danube, and visit of Novi Sad, the capital of the autonomous region of Vojvodina. Return on board and cruise to Ilok. 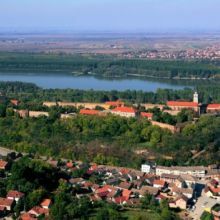 Optional excursion to the medieval cities of Ilok and Vukovar. Return on board in Vukovar. Cruise to Mohacs. Evening of entertainment on board. Cruise during the night. Full board on board. Early in the morning, arrival in Mohacs, passing through customs. 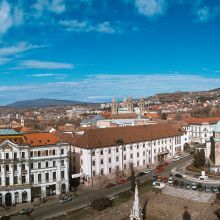 Optional excursion to Pécs: the town of Pécs is situated at the foot of the Mecsek Mountains and is over 2,000 years old, with a Mediterranean climate and ambiance. Return on board and cruise to Kalocsa. 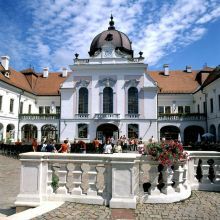 Arrival and optional excursion into the Puszta. 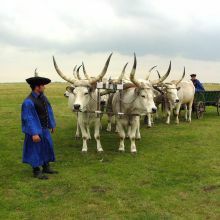 This enormous flat prairie, also known as the “great Hungarian plain”, was the Hungarian Wild West during the 19th century. Return on board and cruise to Budapest. Sailing during the night. Full board on board. Early in the morning, arrival in Budapest and optional discovery tour of this wonderful city. With its different architecture style, Budapest is one of the special pearl of central Europe. Free afternoon or optional excursion to Gödöllö Palace, the largest Baroque castle in Hungary, set in a park of some 28 hectares (69 acres). Return on board. In the evening, optional tour of Budapest by night. Overnight. Buffet breakfast on board. Disembark during the morning.